CNN just can’t help themselves when it comes to showing their liberal hatred for President Trump. Case in point, Time Magazine (yes, I was surprised they have not gone under too) published an in depth piece about touring the White House with the President. The big take away by the mouth breathing idiots at CNN? 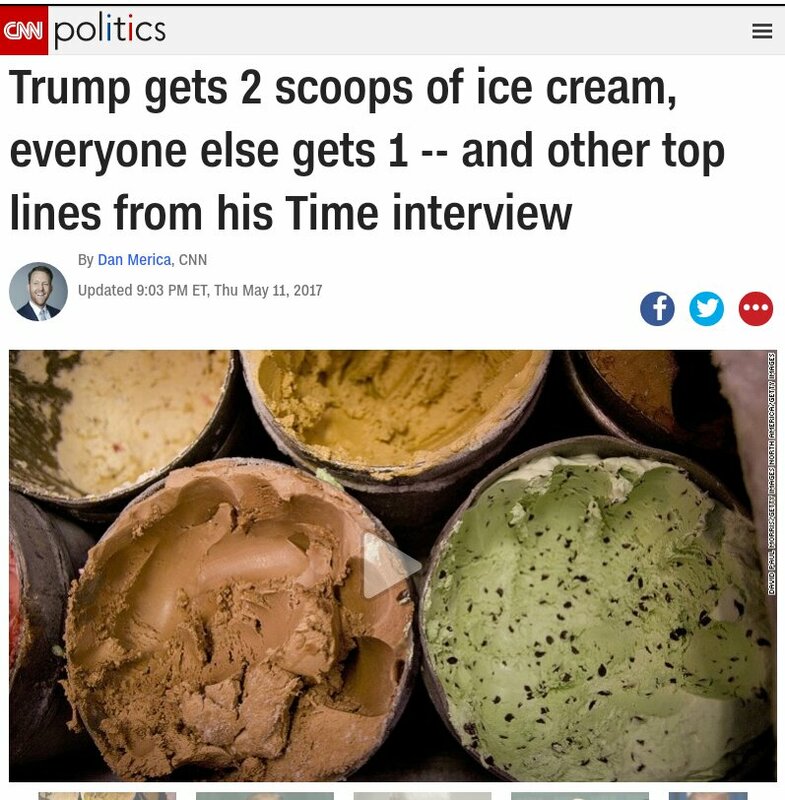 President Trump got TWO SCOOPS of ice cream with dessert. This was so earth shattering that CNN felt this was broadcast worthy. This was also a big deal on the CNN fake news web site. That is right. 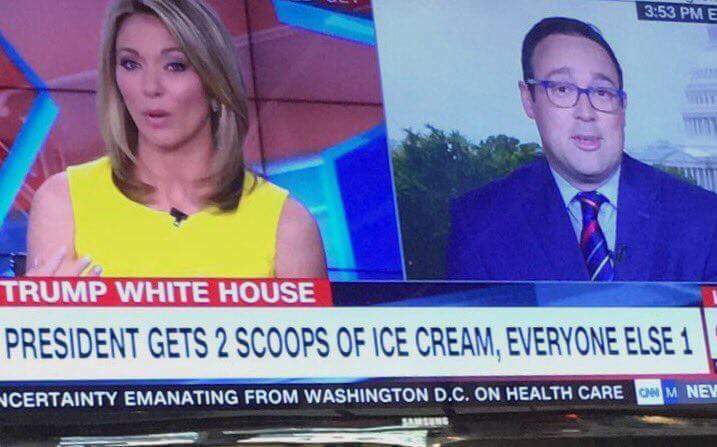 After months living in the White House the staff has learned their new boss likes Diet Coke, Thousand Island dressing, and has a sweet tooth so an extra scoop of ice cream makes him happy. Truly an impeachable offense. Of course this led other liberal lemmings to jump on this vital story as well. Russian dressing and Thousand Island dressing are often confused because both begin with a base of mayonnaise and ketchup or ketchup-style chili sauce, which results in a pink salad dressing. Time just assumed it was Thousand Island. They may have easily confused that it was really Russian dressing. Time for a special prosecutor to investigate this Culinary Constitutional Crisis.